Look no further than Rescu’s Christmas Gift Guide. From the sexiest men’s fragrances on the market to the most luxurious, self-indulging skincare products, whether you’re shopping for family, a friend, your SO or yourself (we won’t judge) we’ve rallied the top beauty picks on everyone’s wish list – naughty or nice. Indulge in an ever-promising luxury skincare essential that will deliver well beyond the holiday season. 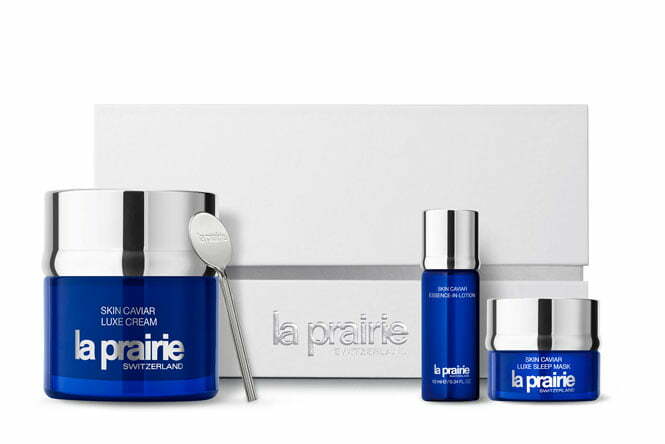 Packaged in a beautiful La Prairie box, the three-piece set offers a comprehensive skin experience. Begin by preparing your skin with the Skin Caviar Essence-in- Lotion, then, refine and hydrate skin with the Skin Caviar Luxe Cream. Finally, rest your eyes while the benefits of hydrating and restoring work their magic overnight with the Skin Caviar Luxe Sleep Mask. A luxurious gift of caviar, it’s the perfect gift for experiencing the exceptional firming and lifting of La Prairie’s iconic Skin Caviar Collection. This signature fragrance from Dior encapsulates a floral bouquet with the scent of dozens of flowers. 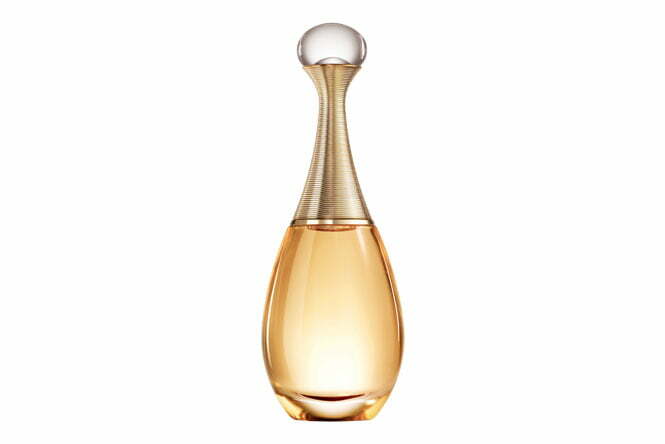 Its no wonder the fragrance has become iconic amongst perfume lovers, and all women alike. Opt for a timeless bouquet of flowers for someone you j’adore this festive season. If in doubt: Tom Ford. 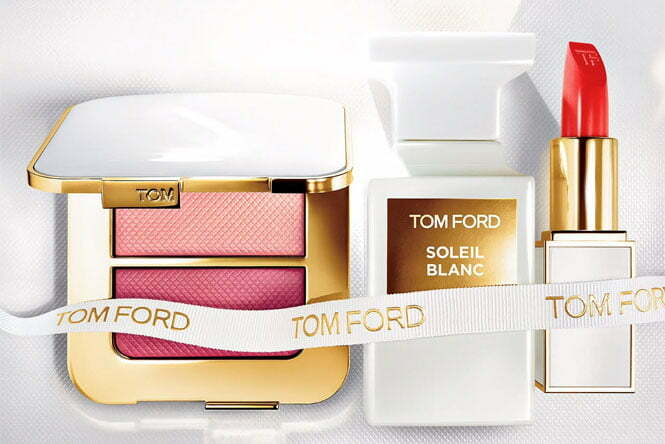 Illuminate your summer skin with the Tom Ford Sheer Cheek Duo and Tom Ford Lip Color. To finish? The solar floral amber scent of Tom Ford Soleil Blanc will elevate your holiday season well onto the next. Feel inclined by another fragrance or lip tint? Mix and match at Tom Ford counters as you please – personalisation is at the heart of a Tom Ford Christmas. Charlotte Tilbury’s Magical MinI Brush Set makes up the ultimate brush set every makeup guru wants for a complete flawless finish. 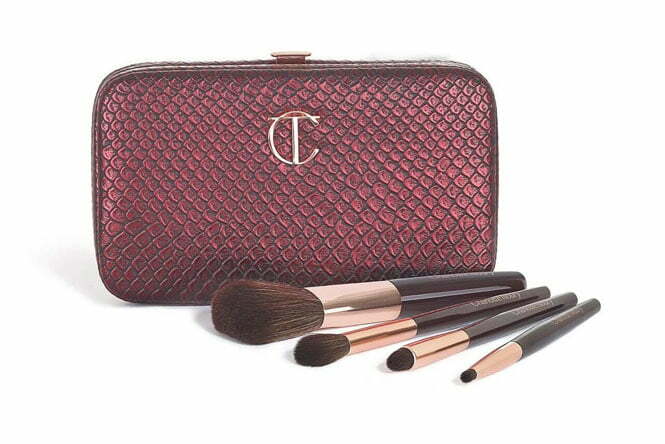 The rose gold and night crimson brushes come in a matching clutch, worthy of a debut beyond your vanity set. These sparkling kits are the life of the party. Prep for a holiday-soaked kiss with MAC Cosmetic’s mini kit featuring three cool, pink, warm or rose-toned hues. Wrapped and delivered in a silver sequin bag and complete with a mirror-balled tassel, you’ll be adding more than one of these limited edition sets to cart this Christmas. 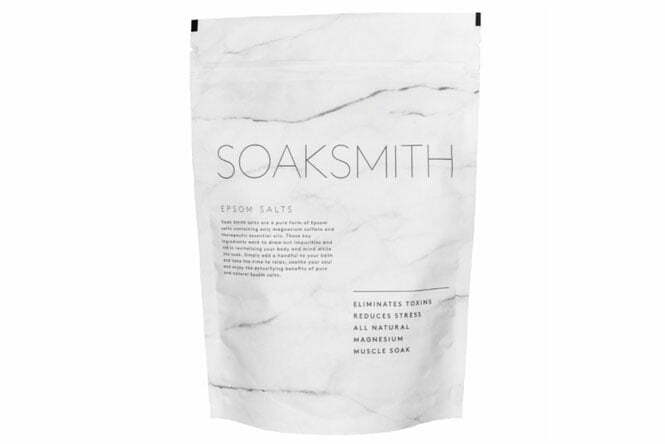 Give the gift of an at-home spa experience with Soak Smith’s Epsom salts this holiday. Offering therapeutic elements of mandarin, jasmine, ylang ylang and rose essential oils to revitalise both body and mind, this goodness gift soaks away impurities and stress. Just one handful will transform warm bathwater into a rejuvenating retreat experience, transporting your mind to a tropical oasis. certified. 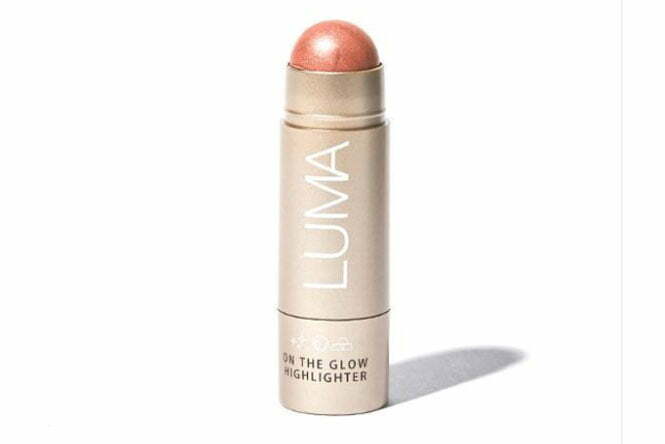 Go on, get glowing. 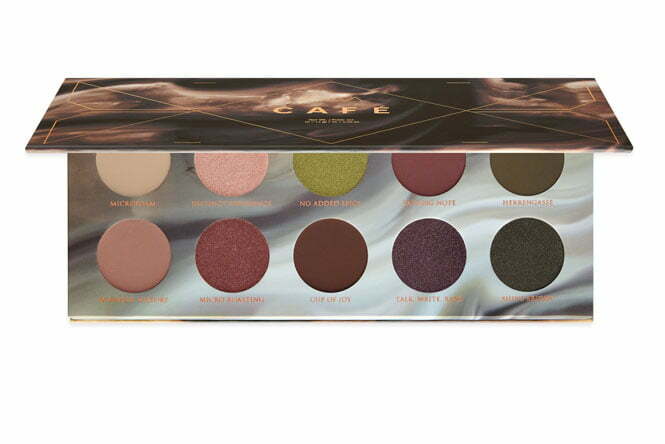 The unique range of luscious coffee-toned shades brew together a selection from foam hues to shimmery green and coffee-cherries. This palette brings to life the joy of sipping on a warm cup of coffee on Christmas morning. It’s the sparkling eye shadow set you don’t just want – you need. 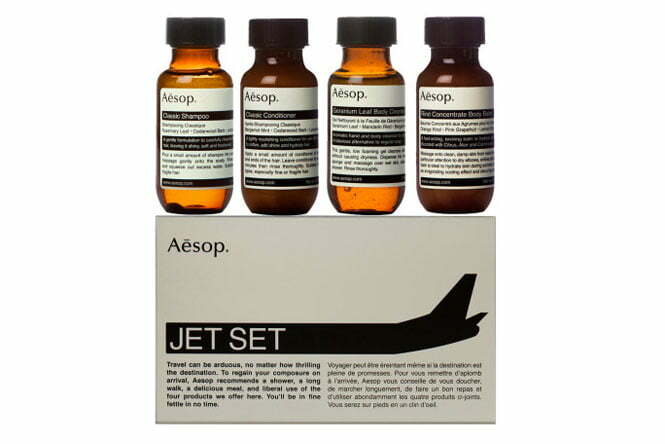 The ultimate gift set for the jet setter in your life. Give the man of importance in your life the ease of carrying his bathroom essentials, all the while adding the perfect touch of luxury and indulgence. Kit contains: gentle scalp cleansing shampoo, revitilising hair sealing conditioner, geranium lead body cleanser, rind aromatic body balm. 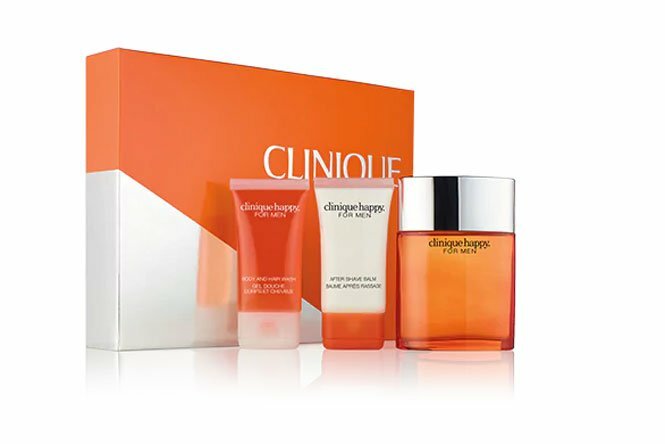 Clinique’s Happy For Him Set contains all his must-haves in one, adding a refreshing fragrance with subtle hints of citrus. Hint? Layer for longer-lasting scent. Even the most difficult to please will adore this set, making years of a Clinique Christmas to come. Set includes: Happy For Men Cologne Spray, Happy For Men Body and Hair Wash, Happy for Men After Shave Balm. The air-whipped texture and citrus herbal scent is a sensorial experience he wont be able to get enough of. 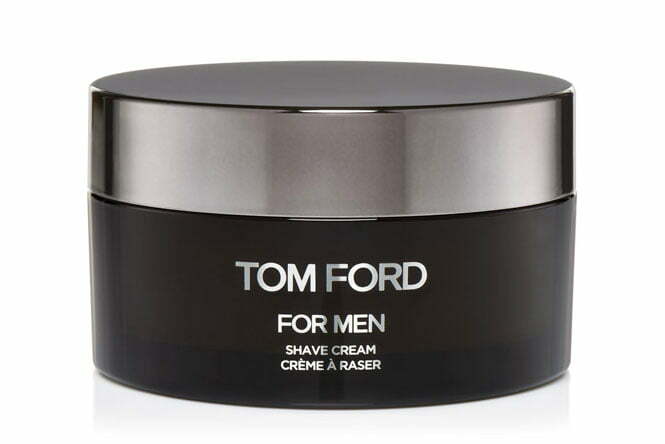 The formula softens the beard for a close, comfortable shave while nourishing and protecting the skin while shaving. The result? Immediate relief of irritation and the dreamiest lingering scent. It’s a win-win for you both. What’s more festive than memory making, especially when captured through the sense of smell. 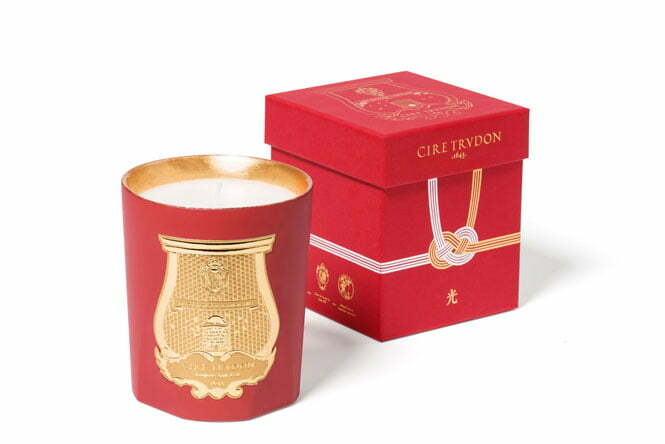 Capture his heart with this luminous essence made of rich the Japanese amber that celebrates longevity and eternal life. The scent will re-create Christmas’s passed for years to come.